This is an adorable eyeshadow duo housed in a special-edition mini compact. The outside of the palette is pink and the inside has a matte silver insert that houses two 1.5g shadows. 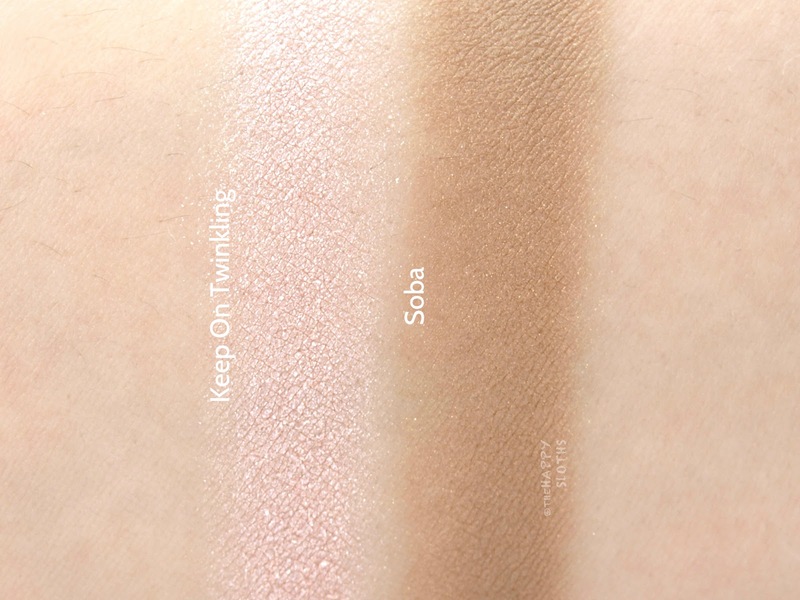 Additionally, the clear lid is printed with a pair of colorful cartoon eyes designed by Steve J & Yoni P.
Included in the palette are two shades: a shimmery pastel pink (Keep On Twinkling) and a satin light brown (Soba) with subtle golden shimmers. Both eyeshadows are nicely pigmented and silky smooth. There is minimal fallout and the colors are very natural and flattering. Housed in a collection-worthy special-edition compact, this is a multi-purpose lip and cheek palette with six different shades. 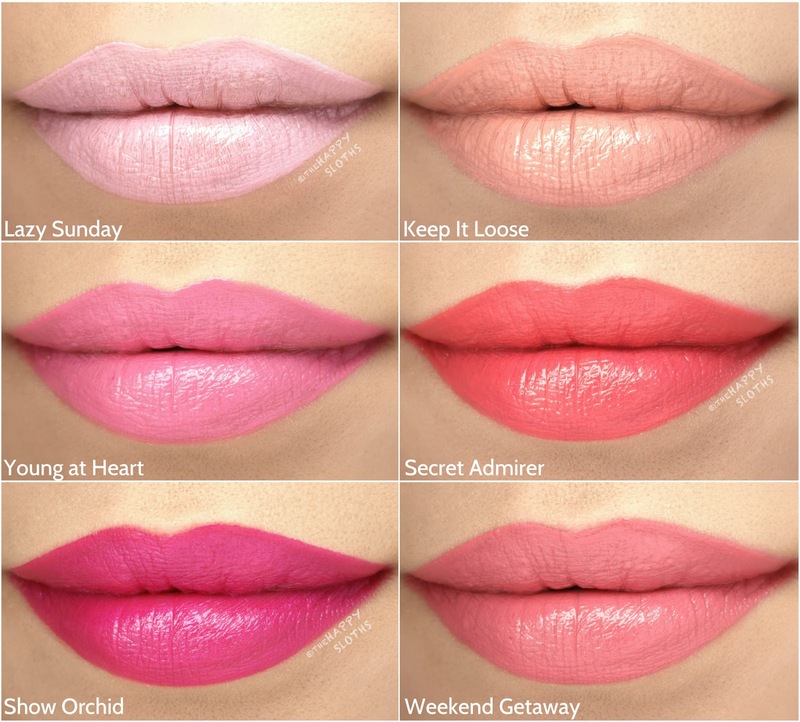 All the colors with the exception of "Show Orchid" has the MAC Casual Color formulation, which is designed to provide a lightweight color for both the lips and cheeks. I find them to be a tad sheer and thin for the lips but for the cheeks, they blend very evenly and provide a nice natural color. They do have a dewy finish so unless you really sheer them out, they might not look great on oily skin. Below is a breakdown of all six shades. Lazy Sunday: This is a pastel baby pink. 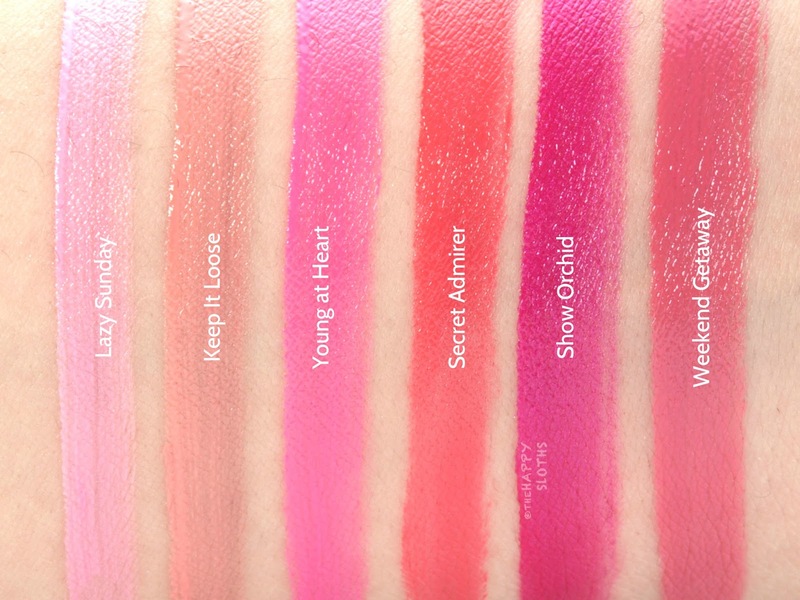 The formulation is thin and sheer and it does not build well as a lip color so the coverage is a tad patchy. Therefore, it works best as a cream blush. Keep It Loose: A soft peach beige, Keep It Loose also has a thin texture that applies a bit patchy on the lips. Young at Heart: This is a lovely light pink. The formulation is decently pigmented but again, the texture is quite thin and difficult to build, making it more suitable as a cheek color. Secret Admirer: Noticeably more pigmented than the last three shades, Secret Admirer is a summery bright coral. Show Orchid: A stunning blue-based hot pink with just a hint of micro-shimmers, Show Orchid is a MAC Amplified Lipstick shade. The formulation is pigmented and creamy while the color is unique and eye-catching. Weekend Getaway: A lovely rose cream, Weekend Getaway has a formulation that feels very similar to that of Secret Admirer. It's nice and pigmented but still on the thinner end so it works better as a cream blush. MAC x Steve J & Yoni P | Lipstick in "Yoni Crush"
Paired with the most adorable lipstick bullet, "Yoni Crush" is a gorgeous creamy red. 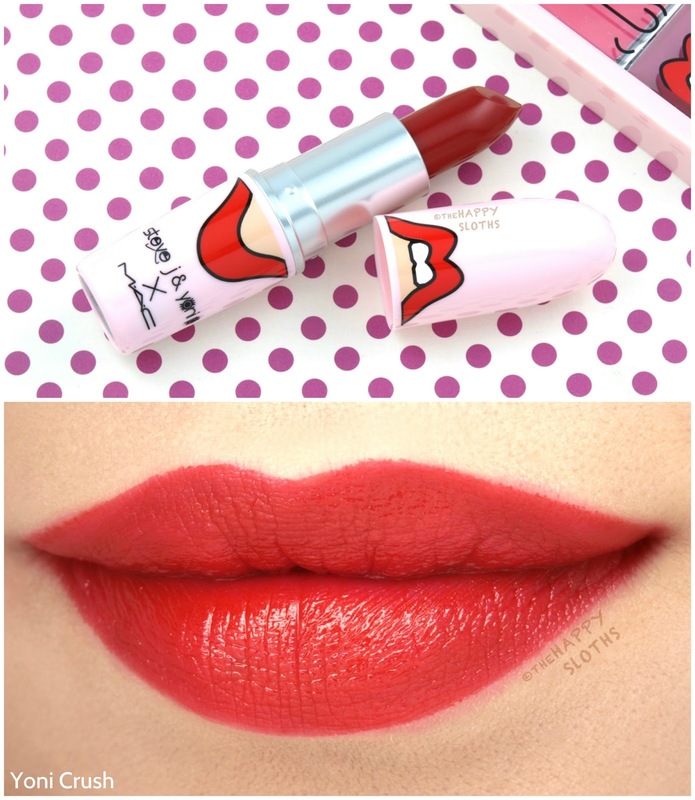 MAC describes it as a "bold orange red" but the color does not appear orange at all. To me, it's a pretty neutral red that would be universally flattering. 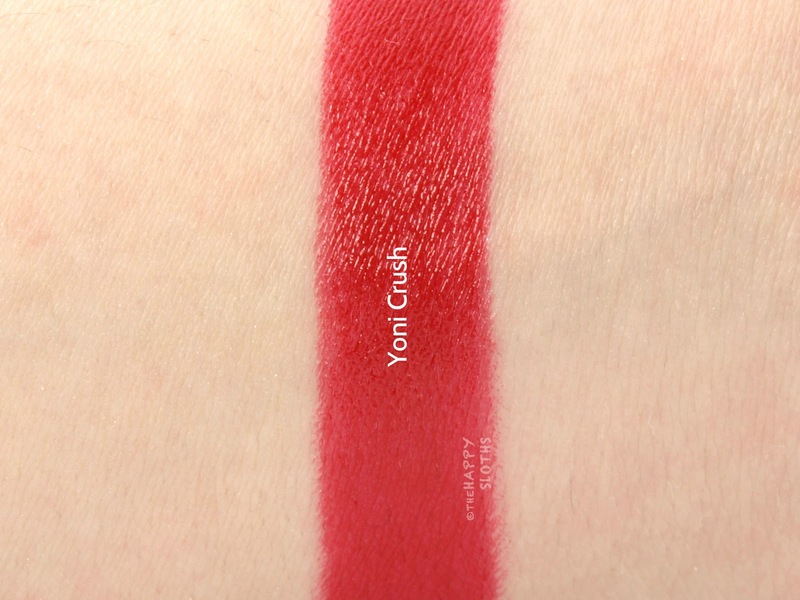 The formulation is pigmented and hydrating and like all MAC lipsticks, "Yoni Crush" gives off a strong scent of sweet vanilla. The color is nothing original but the formulation is flawless and the packaging is just too darn cute!